Simply a way of making something happen at the right time, automations are predefined actions triggered by an activity. They can start or stop a sequence of emails, send you a notification, change a contact’s sales stage, add or remove a tag to help you filter your contacts. It’s important to recognise that the act of using marketing automation doesn’t make what you do more effective. You could easily automate completely ineffective marketing! When used correctly, marketing automation means that you can deliver and scale a level of care and personalisation that you would need hundreds of staff members to deliver by hand. Sales Notification. Send an alert to your sales team when a prospect visits your pricing page. Funnel management. Change a contact’s stage to ‘Lead’ when they download an ebook. Sales Nurturing. Follow up an ebook download with key tips and encourage a consultation. Improve targeting. Add a tag to your contact to allow you to target your regular email broadcasts better. Timed action. Send an offer email when a contact visits a certain website page. 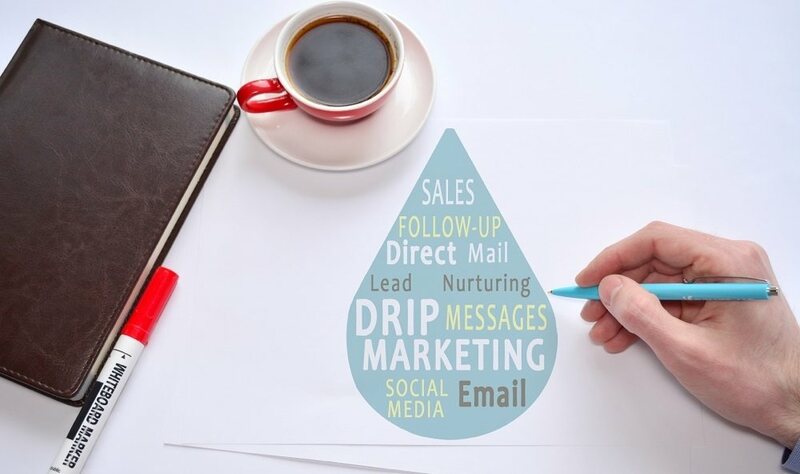 Email auto responders or ‘drip’ campaigns are the workhorse of marketing automation, they are timely in that they can be triggered to respond to a specific activity so you can always follow up in the appropriate way for your contacts activity. There are no strict rules as to what an autoresponder should look like, but many people have found that having a personal email style with a conversational tone is a good way to maximise open and click through rates, including a picture of a staff member with a standard email signature will make it feel really personal and using their email address as the ‘from’ address will mean they get to pick up the conversation with any replies that come through. By all means include offers and sales focused content but you’ll need to build trust and familiarity. Get the balance wrong and you’ll see high unsubscribe rates. Ebook follow up sequence. Triggered by the completion of a conversion form to download an ebook, your autoresponder might send a sequence that says ‘thank you’ then recaps on some of the points from the ebook, and recommends more in depth content and offers direct help via a consultation. Tips during a free trial. 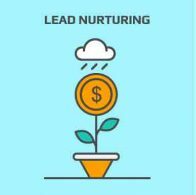 If you have a free trial of your product then offering help and guidance while your leads are engaged with your product or service makes great sense. Getting Started sequence. When you have to get people up to speed with your product or service, you’ll find that you need to send the same emails over and over again at different times. This is an ideal situation for an autoresponder. Enabling you to easily deliver personalised on boarding. Make the autoresponder a course. Why not send out a sequence of educational emails that teach your buyers the skills give them the understanding they need to make an informed purchase decision, this will give you the opportunity to emphasise the importance of your product benefits along the way. When designing your autoresponder emails, it’s always good to have some action points such as click throughs to your website, and a clear purpose for each one. It’s good practice to be critical of each and every one, ensuring that you are delivering some value and a good reason for your leads to open and click! With your autoresponder up and running, take a look at the open click and unsubscribe rates for each email and improve each one over time. While they do tend to take care of themselves, it’s worth making sure that they are kept up to date with any relevant product or service changes. Being able to respond to your lead’s activity on your website by alerting your sales team of their interest when it happens and even triggering an email campaign to capitalise on their engagement is a powerful feature of activity streams. Essentially a set of filters you can apply to your website activity, narrowing it down to only prospects from a particular region or those that have viewed a certain page. This can then be extended by adding an automation so that if a contact triggers the stream an automation is fired. Creating and sending email campaigns is a central feature of any marketing automation system, the key differences are that as well as campaign level reporting for opens, clicks and unsubscribes etc. the activity is also recorded as part of each contacts activity history, along with their post click website activity. You can define segmented lists to send to by applying filter sets to define a list. Contact properties such as tags, stage, custom contact fields, and geo location information can be used to define your lists. If you have an existing set of contacts, it makes good sense to import these early on and begin sending email from Jumplead ideally with some links back to your website, as clicking through from Jumplead emails is a great way to start tracking contact activity.